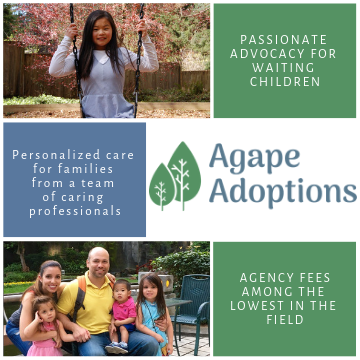 Agape Adoptions is a licensed, fully accredited child placing agency based in Washington state. We serve adoptive families across the U.S., and offer homestudy and post placement services to families in Washington and Oregon. Agape currently has programs in China, Hong Kong, Bulgaria, Romania, and the Dominican Republic. 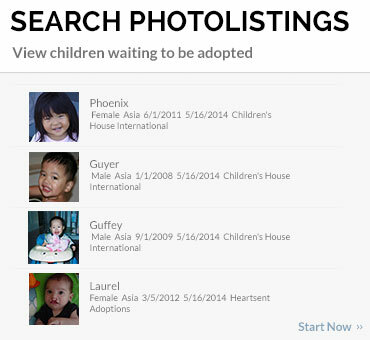 Adoption is a life changing experience and a lifelong journey for child and parent. Choosing the right agency partner to walk alongside you in this journey is critically important. 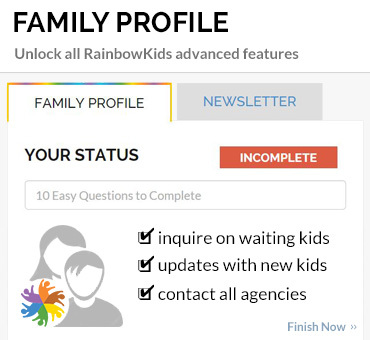 That's why we are dedicated to passionately advocating for waiting children, and providing our families with highly professional services and personalized care, all while maintaining some of the lowest agency fees in our field. 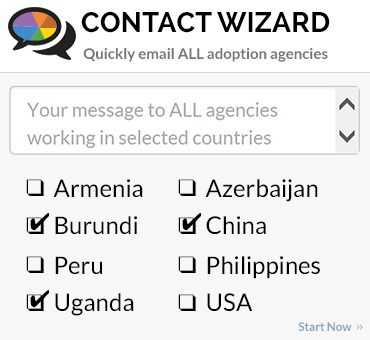 Our experienced team of professionals is ready talk with you about your options for international adoption. Call or email us today. We can answer your questions and help you get started!